HOME OF THE WEEK - PLOT 35 THE HALSTEAD - £5000 TOWARDS YOUR STAMP DUTY, FLOORING THROUGHOUT AND INTEGRATED APPLIANCES INCLUDED! FANTASTIC OFFERS AVAILABLE ON SELECTED HOMES! Ideally located between the River Cole and the River Blythe, this stunning new development is the perfect place to enjoy a relaxing waterside stroll. At Church Hill Place you will have everything you need on Coleshill High Street, which is a convenient 5 minute walk. There is a Morrisons and a One Stop right around the corner, local pubs and award-winning restaurants, Rajrani Bengal and Balti Cottage serving superb dishes and Birmingham’s famous Balti’s. Be part of Coleshill’s strong community spirit, with local clubs and societies providing plenty to get involved with in the town. You will also be just a 20 minute drive away from the bustling Birmingham City Centre, where you can sip on cocktails in one of the many quirky bars and enjoy luxury shopping in Harvey Nichols, Hugo Boss and Karen Millen. Birmingham is also home to a range of Michelin Star restaurants including Purnell’s, Simpsons and Adam’s. Book your appointment today with our Sales Advisor to find out more! Crest Nicholson is pleased to officially launch Church Hill Place, the latest development in the scenic market town of Coleshill, Warwickshire. Situated on the edge of town’s bustling high street a mere 5-minute walk away, Church Hill Place offers a selection of two, three and four bedroom homes perfect for family living. Local couple Danny, 23, and Jessica, 21, are celebrating their new home having recently moved into a two-bedroom apartment at Crest Nicholson’s Elysian Gardens development in Balsall Common. The move has been possible thanks to the government-backed Help to Buy scheme and a contribution from Crest Nicholson. Award-winning developer Crest Nicholson has announced that its brand-new development will launch early 2019 in Coleshill, Warwickshire. 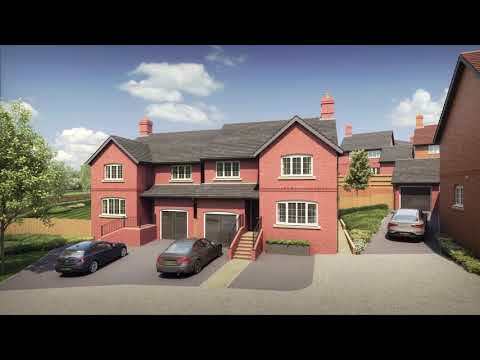 Church Hill Place will comprise an exclusive collection of 38 premium two, three and four bedroom homes.